Don’t you hate it when you have to hire a specialized developer and spending major bucks to get all distinguishable features or layout changes in your site with still being limited to one or two layout options only? Now, We has changed the way with launch of JA Aiga - All in one multipurpose Joomla template. 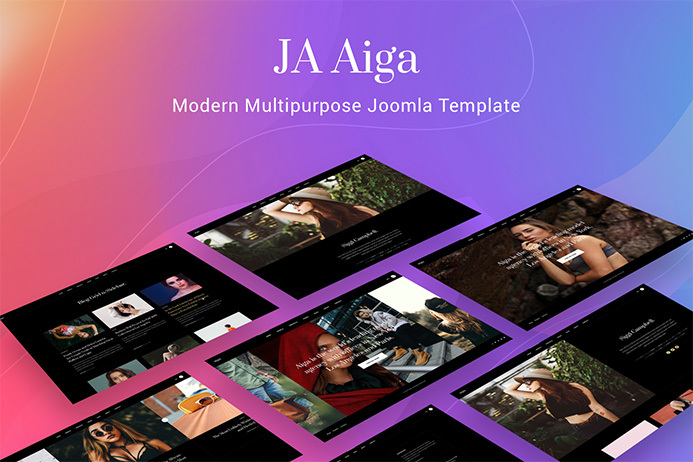 JA Aiga has been constructed in such a manner that it clearly disrupt usual templates with flexible and limitless layout options along with other robust features. In this blog post, we will do a quick tour of JA Aiga by outlining core features first and then covering the core features in depth accompanied with screenshots. You can always see on the demo site - the layout options which are readily available in JA Aiga with quick redirects to every layout option. Before outlining core features, Let’s also have a quick glimpse of distinguishable features in JA Aiga template. The multipurpose Joomla template comes with 9 Homepage variations, 5 model page variations, 9 blog page variations to 6 article variations coupled with dark theme and light theme with flexible layout system. JA Aiga is fully responsive, built with robust T3 Framework with integration of Bootstrap 3. Welcome our monthly Joomla template - JA Restaurant, a powerful Restaurant Joomla template with dedicated design and features. It supports 4 menu types, 3 options for Reservation system, useful pre-built pages: Gallery, Offers, About, Happy Hours. 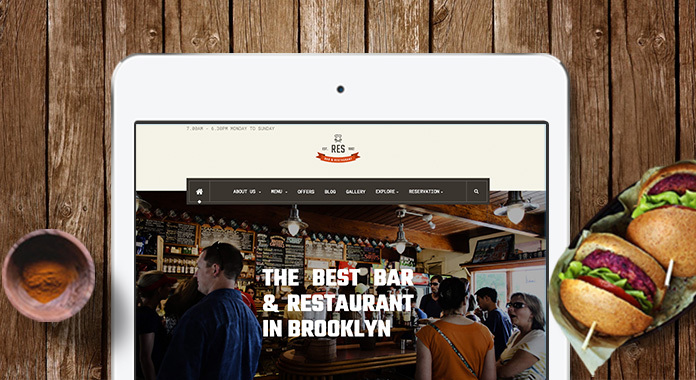 The template integrates Open table and Vik Restaurants component. Today we want to preview 2 modules to be released soon for our JA Admin template, JA User module and JA Google Analytics module. JA Users module will list out latest signup users to your site, and to start with will supports Joomla users, K2, and EasyBlog users. JA Google Analytics modules will integrates Google Analytics to your site, display selected content type in multiple chart types: Column, Linechart and Areachart. Intranet template for Joomla was one of the top voted desired template by our members and finally it has been released. This time instead of making html placeholders, we have integrated 3rd party extensions to provide the features. This should bring down the integration time down significantly. Today JoomlArt team released JA Admin template Beta 2 with new features, improvements and bug fixes. We also setup Back-end Demo so you can experience how the admin Joomla template work. 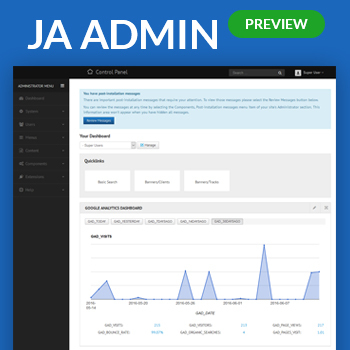 New version of JA Admin Template is avaibale for download - Beta. The new version release with new features, improvements and bug fixes. Here is details of the release. In our previous preview of our Joomla Admin Template, we introduced main features of the JA Admin template. Today we have improvement updates for you as well as the alpha version of JA Admin is now available for early adopters. Scroll down for known issues and we hope to have them fixed in the next version. Finally, JoomlArt team can announce the preview of our Admin template - JA Admin. The template is built to help you manage your site easier with intuitive working panel and the ability to customize based on specific requirements. JA Simpli new version - RC is available for download. The update version focused on bug fixes and layout configuration improvement. In details, 30+ reported bugs are fixed and first draft of layout structure preview in the template admin panel.